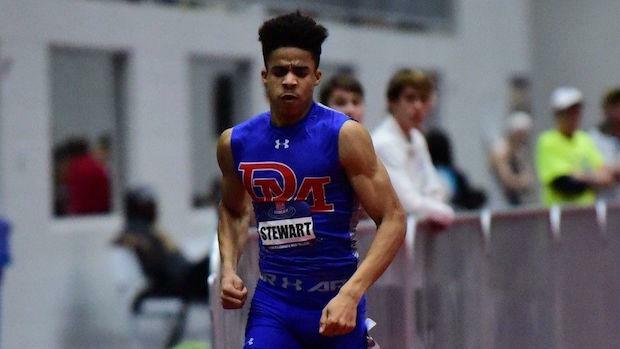 One of nation's most unexpected stars this indoor season has been DeMatha Catholic senior Brendon Stewart. After not running track his first two years of high school, Stewart got into the sport last year while attending Vincent Pallotti. He saw modest initial success, but nothing that would indicate a rise to becoming a US No. 1-ranked athlete this year. Stewart won the 55 meter dash this year on two of the biggest stages on the East Coast indoor circuit this winter between the VA Showcase in January and Millrose Games in February. He certainly is receiving plenty of late attention from top college programs after clocking a US No. 1 performance of 6.66 in the 60 meter dash at Marshall University nearly three weeks ago. Ranked US No. 7 in the 300, Stewart also is a member on the nation's second-fastest 4x200 meter relay at DeMatha Catholic. 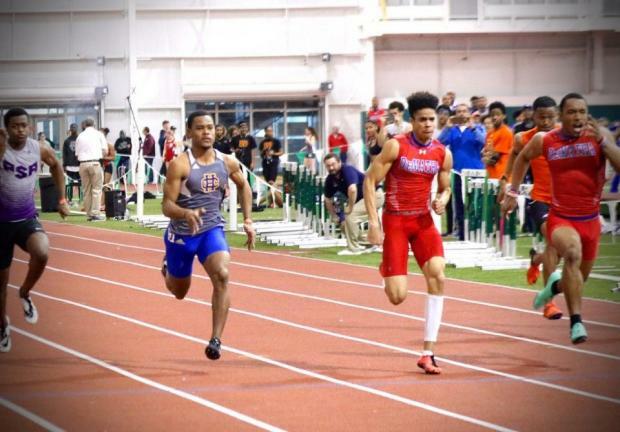 Both Stewart individually in the 60m and his DeMatha relay squad will be in contention for national titles this weekend at New Balance Nationals. 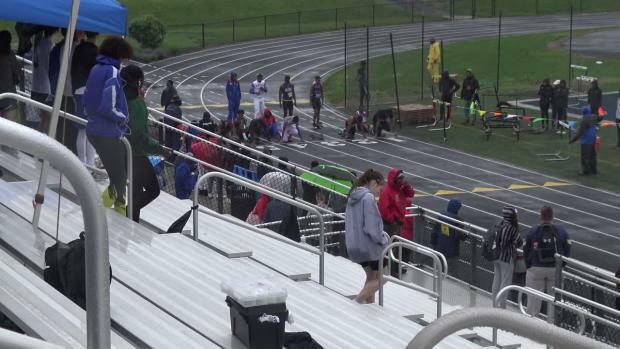 Before he makes the trek up to New York City to race against nation's best, MileSplit Maryland interviewed the rising star Stewart. 1. How did you first get started in track and field? My first high school, Chesapeake Math & IT Academy, did not have sports teams that competed interscholastically my ninth and 10th grade years. I decided I wanted to participate in high school sports and my parents made it possible for me to transfer. When I transferred to Pallotti, I went there for lacrosse. But I saw track as an opportunity to get faster for the spring season. As I progressed through the indoor track season, I developed a love for the sport and continued with it through outdoor. 2. 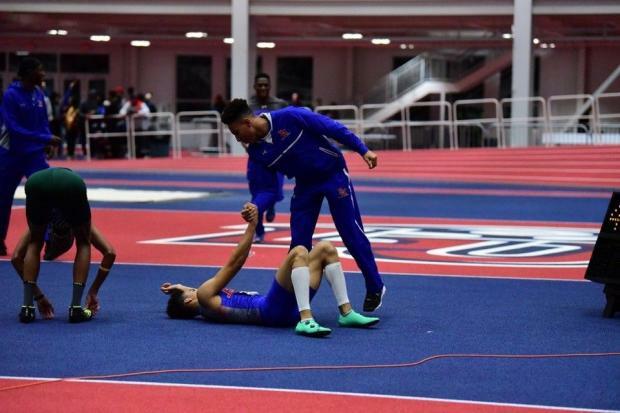 Having transferred to three high schools in four years, how difficult has it been with the constant change (new schools, teams, and coaches) and has your track success this year at DeMatha made the transition much easier at a new school? Transferring schools definitely was not an easy task, but I knew the choices that I needed to make would help shape me and open doors for me in the future. I really enjoyed CMIT Academy and still have great friends there today. We started there as the first class of 6th graders and made the best of a school that was located in an office complex and lacked the traditional "high school" feel. Our gym was the parking lot in the back of the building. The St.Vincent Pallotti situation was difficult to understand. Since I had no experience with track, I was asked to follow the lead of the veterans on the team and I did just that. I experienced some success initially and thought I was doing what was asked of me. I wanted to accelerate my learning curve so I began to train with coach Catoe, who is a close family friend and very knowledgeable track and field coach that believed in me and my potential from the very beginning. I would wake up at 5am and do my workouts before I started my school day and then still practice with the Pallotti team after school. I set new personal bests at each successive indoor meet. The highlight was winning the Private School championship 55m dash championship and being accepted as an entrant in the Emerging Elite 60m dash for New Balance Indoor Nationals. That was the first time I actually believed I could be good at this sport. When the decision was made to transfer schools again, I had some great local options. I ultimately chose DeMatha and have been happy with my decision ever since. The transition to DeMatha was smooth because of the great coaching staff and academic staff. The DeMatha coaches saw something in me that I had yet to see. They got me stronger through the off-season and all I had to do was trust the process. 3. While running some solid times as a junior, you have really improved leaps and bounds this year ranked as one of the nation's fastest currently in the 55 and 300 dash. What do you attribute to rise in the level of your performances this year? I really believe working with coach Catoe over the summer getting really strong and focusing on running form and mechanics is what led to these performances. We spent almost no time on an actual track and focused on making sure I was physically ready to train when I was turned over to coach CP. Coach CP is a maniac and made me even stronger and more flexible. He always tells us to trust the process and that hard work pays off. Since I am so new to the sport, I am still learning new things all the time. Our team also has very cool parents that help our team in many ways. This sense of family makes the practices and meets more fun. You should come check out a practice at DeMatha sometime. 4. What would you consider your big breakthrough race this season and why? 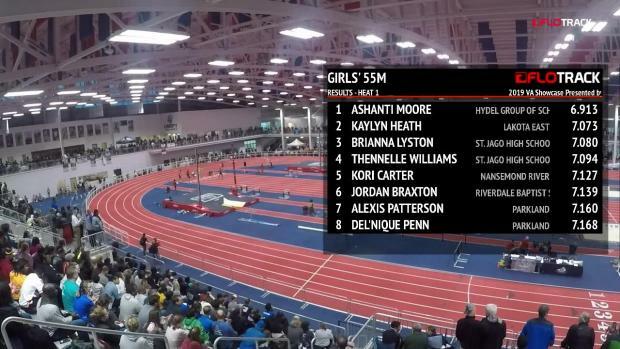 The Virginia Showcase 55m dash and Invitational 300m dash. In the prelims, I broke 6.40 seconds for the first time and in the final, I went even faster to set the facility record. That was kind of cool. In the 300, my time of 33.86 seconds didn't immediately register as being very fast, but college coaches now tell me that it was this particular race that showed them that I have the potential to run track at the next level. 5. 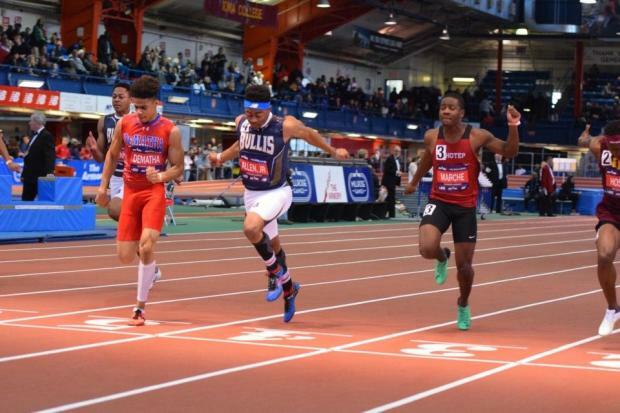 The Millrose Games 55 dash was a big win against one of Maryland and nation's best in Eric Allen Jr. of Bullis School. Since you didn't get to race against the likes of Allen, Herron, and Cooper head to head in VA Showcase 300, do you feel like the Millrose Games race validated that you deserve to be considered on same level as that group of national class sprinters? You forgot to mention my friend, Austin Kratz, in that group of elite athletes. I was beyond excited to get the win at the Millrose Games. Competing against Eric Allen on the national stage was special, but I don't feel like it validated my being on that level. It did wonders for my confidence. My coaches always tell me that I am not racing individuals, I am racing the clock. If I focus on my 42 inches and execute my race plan, the results will come. It is an honor to be mentioned in the same class as the runners you listed. 6. 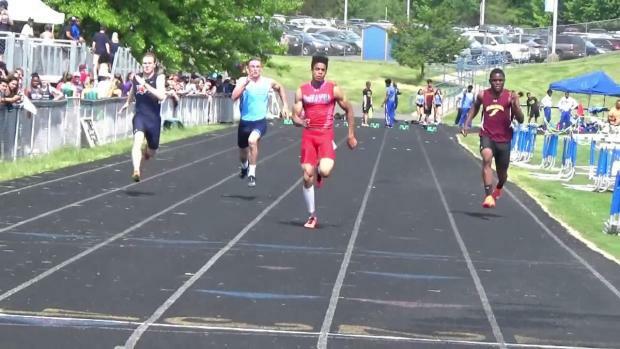 DeMatha Catholic lost one of their top sprinters in Nicholas Wilson from last year, but gained you over the summer. 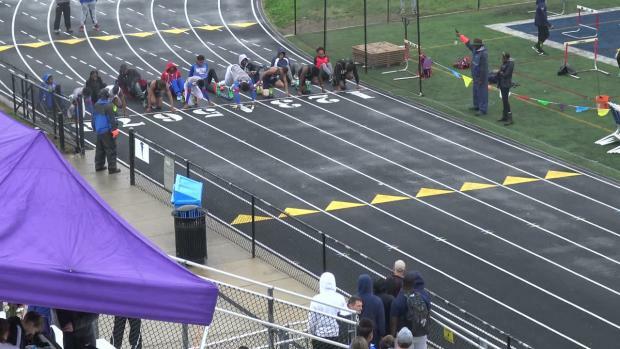 It seems like team hasn't missed a beat and even better with a US #2 ranked 4x200. Talk about the squad this year and how you feel this group has come together this season? 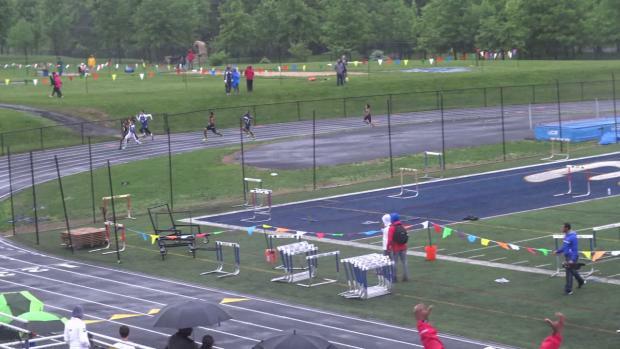 I transferred into DeMatha prior to the outdoor season last year and ran on relays with Nick. Losing Nick was tough for our team. He definitely would have been an asset for our team. Many people said we had no chance at being good without Nick. Our coaches didn't let us feel sorry for ourselves though. They told us that if we worked hard and believed in one another, we could do special things. Also, Nick Cross is new to our team this year and his improvement from week to week has been fun to watch and makes us better. The competition in practice to be on the top relays is probably what has made us so good. I believe that after I graduate this year, DeMatha Track will continue to get better. 7 What are your goals for indoor nationals? What do you think it will take to become a national champ? Win the national championship in the 60m and 4x200m relay. It will take me focusing on myself and executing my race plan. On the relay, it will take all four of us doing our individual jobs and getting the stick around without incident. In both events, the competition will be tough. 8 How has your training been since your Last meet at Marshall University on February 24th? Have you taken advantage of break from meets/travel to get good workouts in? Training has gone well. After that 10-hour bus ride to West Virginia and then having the bus break down during our trip, our coaches gave us exactly one day off. The coaches focused our training on being ready for March 9-11th. We were fortunate to get some training time at the PG County Sports and Learning Complex and the weather cooperated enough to allow us to train at out sister school, Elizabeth Seton. 9 Has interest from college coaches changed drastically from start of indoor season to now? What has that been like and where are you at in the college decision process? After the VA Showcase, colleges began to contact me and my coaches. It was cool hearing from coaches from some really great schools. Then after the Millrose Games victory, more schools called me. When I ran the 6.69 and 6.66 at Marshall, it was unreal. It has been exciting and truly a blessing to learn that Division 1 schools believe that I can contribute to their programs. I have been offered scholarships from several great schools and will sit down with my family and coaches after New Balance and try to figure out which schools I can see myself at next year. I have to give a big thanks to Coach Buddy Crutchfield for allowing us to travel and compete at the showcase meets against the best competition. I don't think I would have been noticed like I have been if we only ran in Maryland. 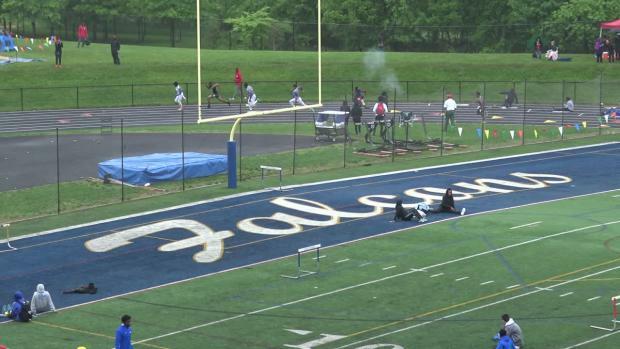 I also hope the coaches also start looking at my teammates and the DeMatha track program as a whole. 10. Is any part of you still in shock or amaze at how far you come in just a year's time and this senior year that you have put together? It has been an incredibly busy and exciting senior year for me so far and I wouldn't change a thing.